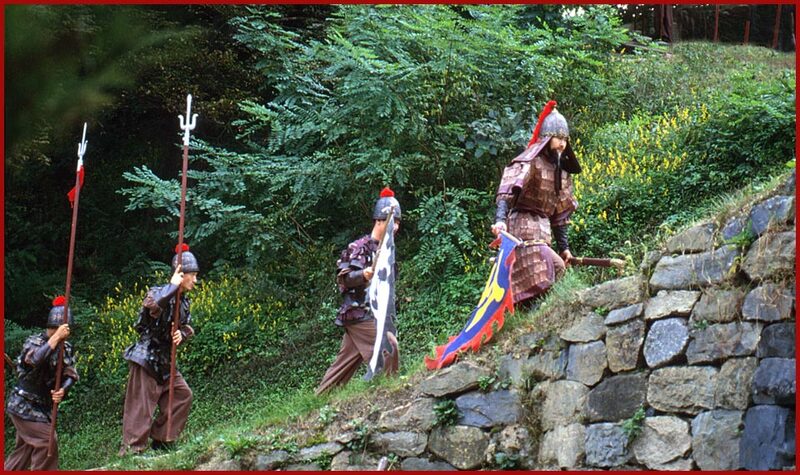 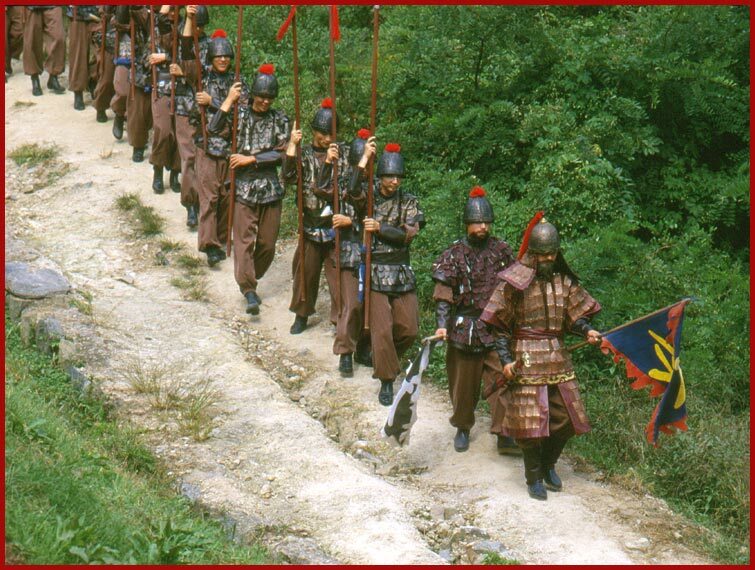 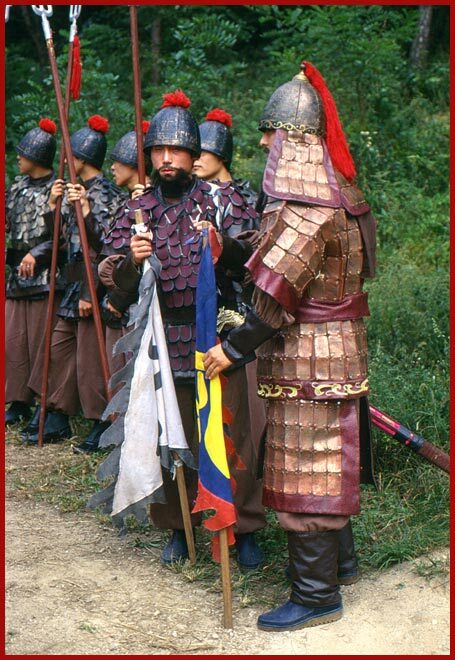 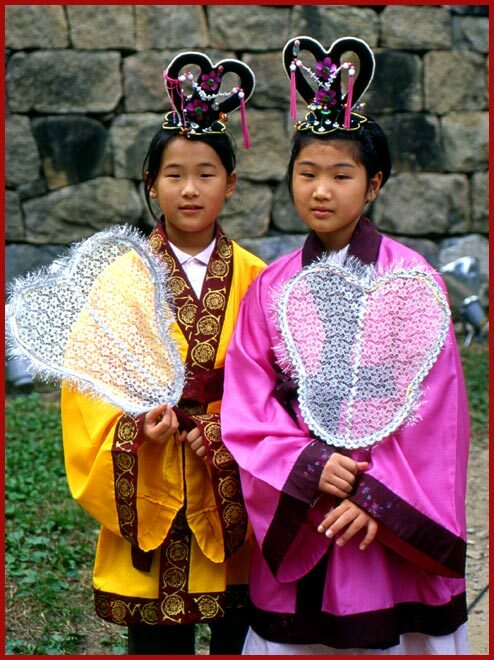 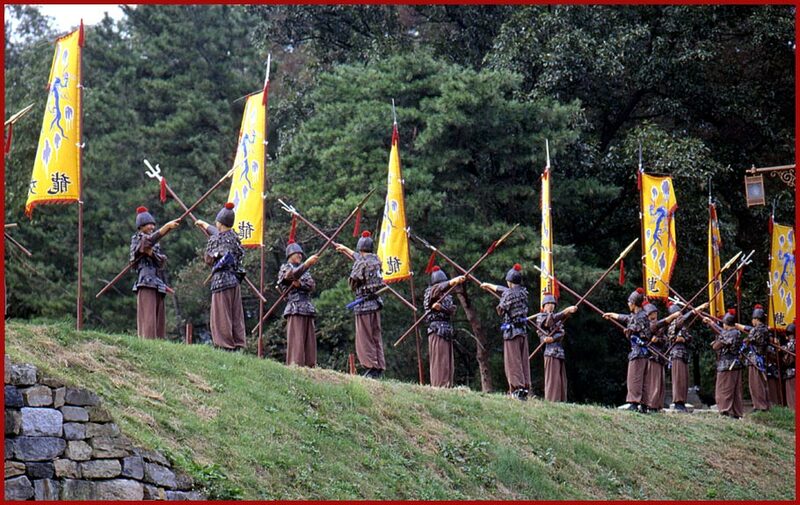 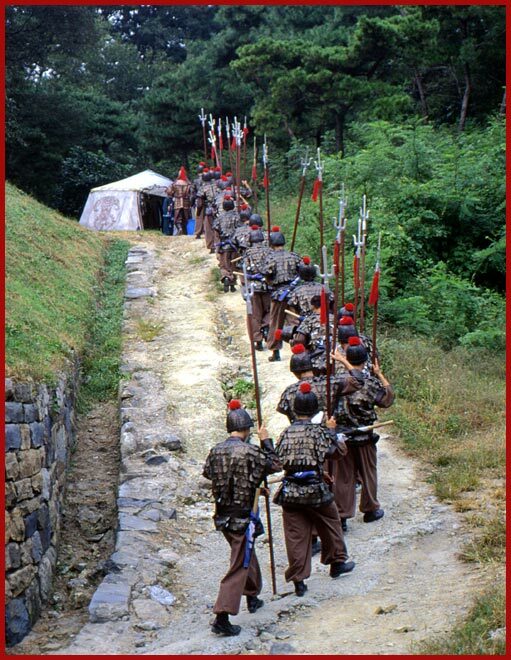 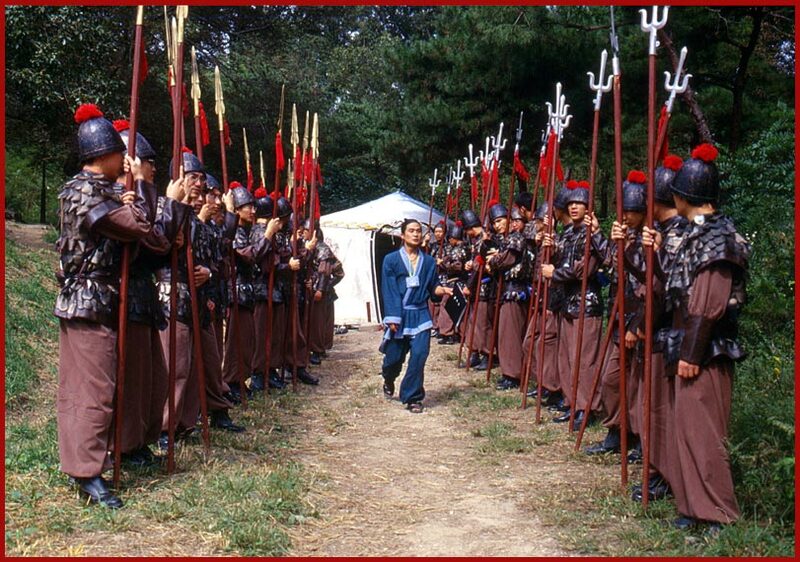 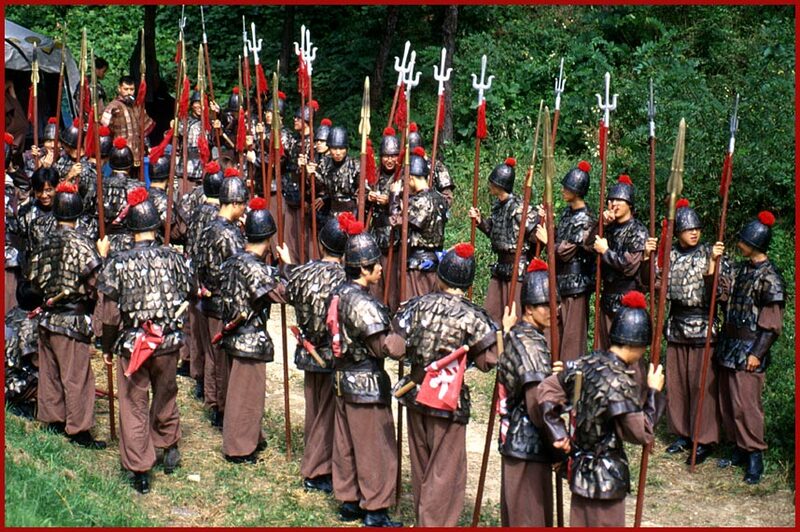 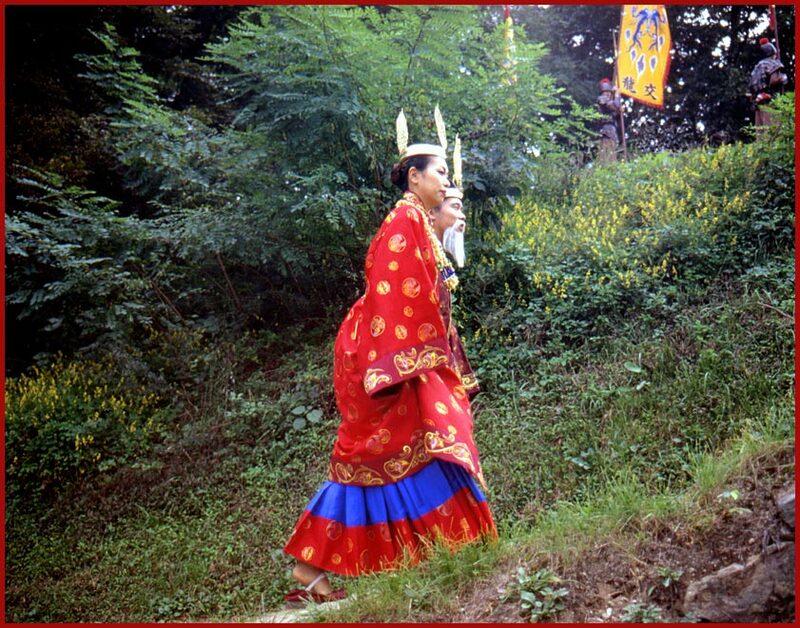 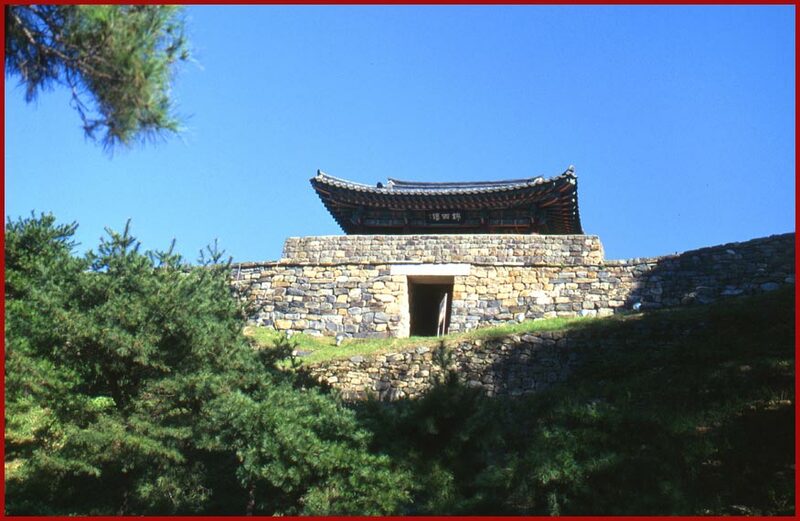 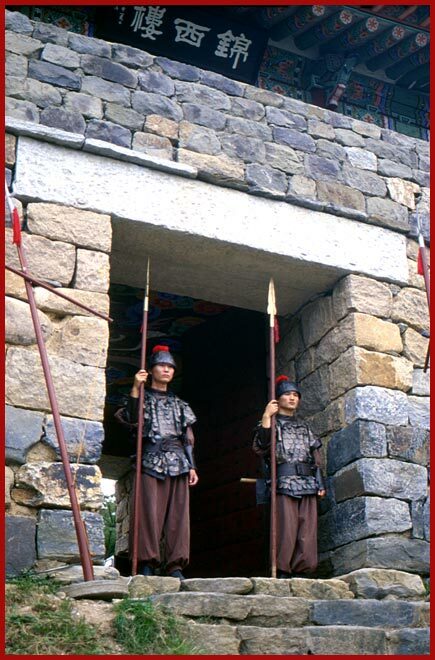 The Paekche culture flourished on the western part of Korea until year 660,- when the Paekche kingdom finally fell, due to war actions by it's combined enemies! 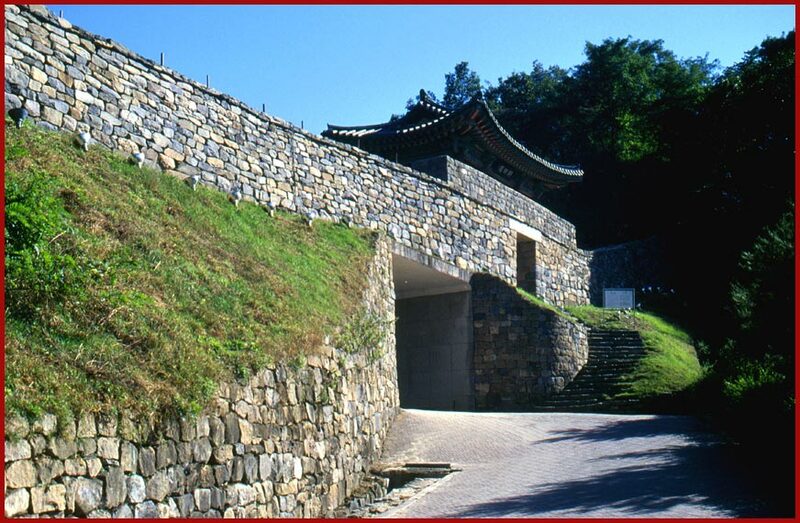 During it's time,- The Paekche culture turned out incredible beautiful art objects and a lot of the artifacts from that time are still preserved in the excellent National Museums in Puyo and Kongju. 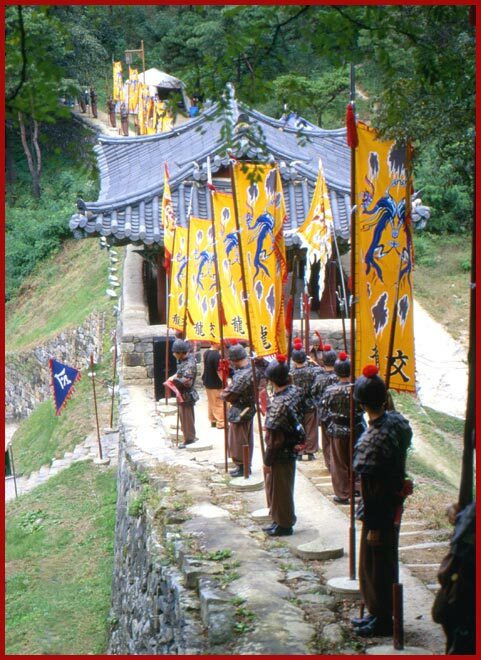 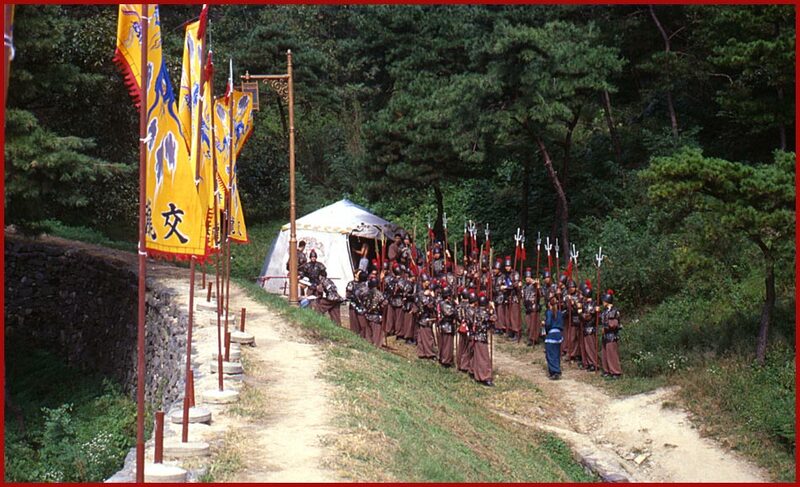 Paekche also exported Korean culture and introduced Buddhism to Japan. 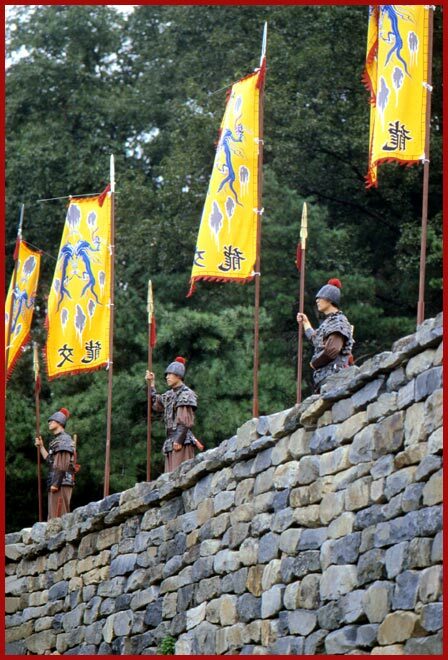 I were the only foreigner there, so of course I got special treatment, and part of the result of that you can see in the following pages. 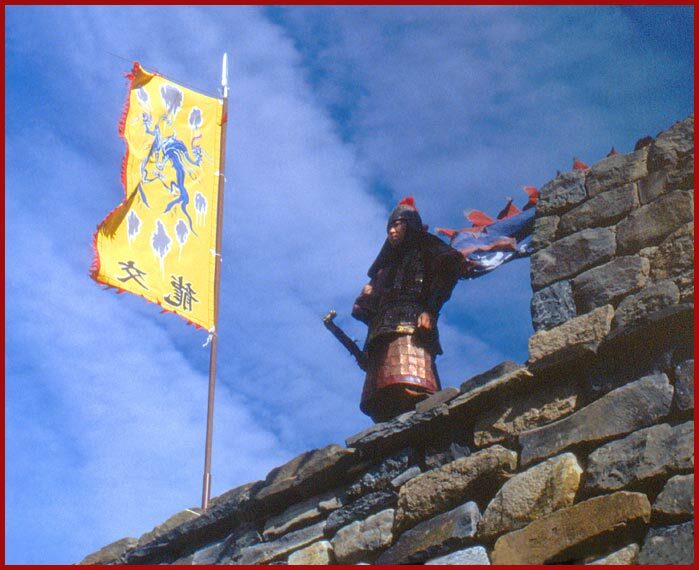 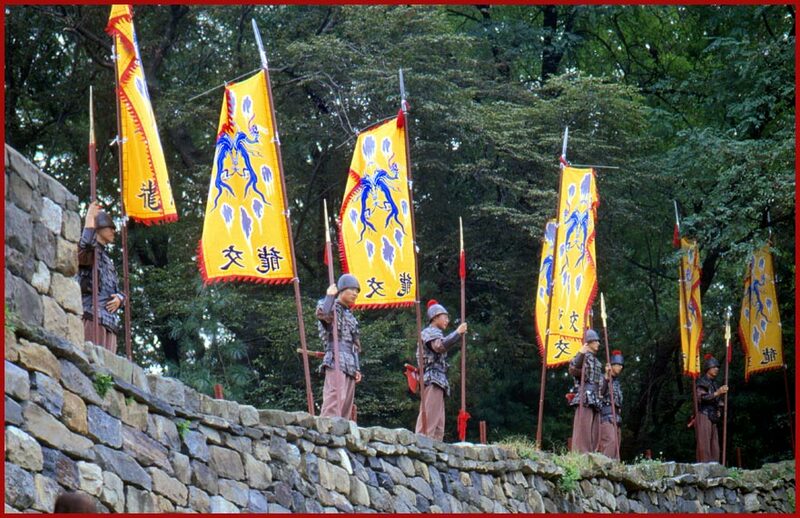 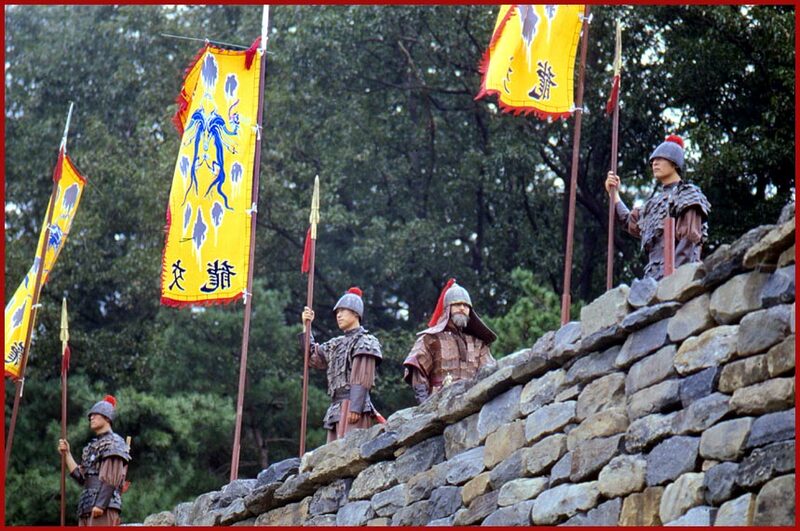 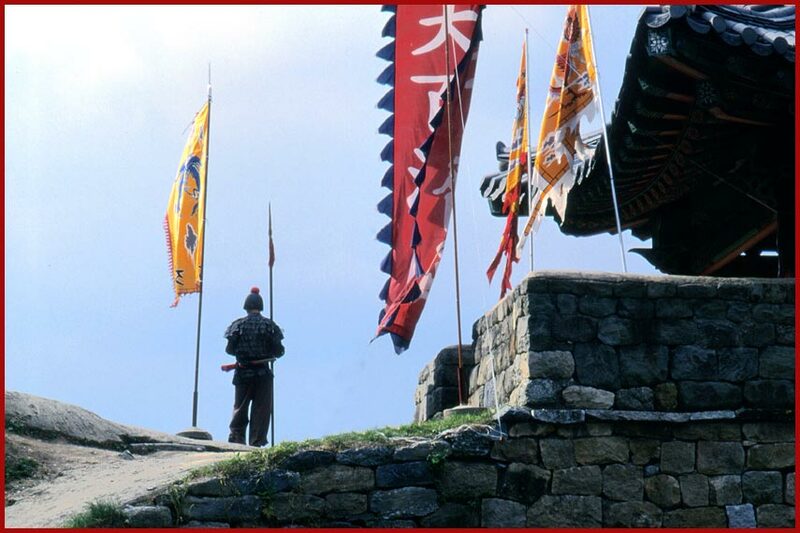 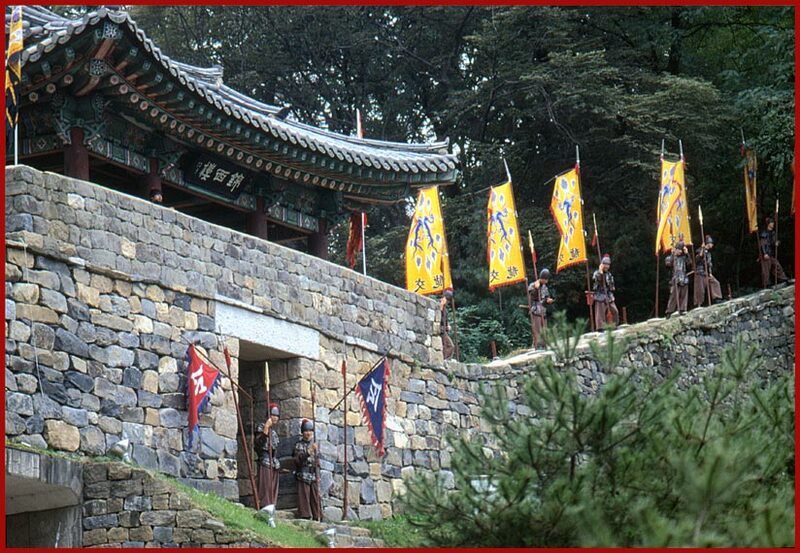 Little did I know, that the next day these old walls would be manned by Paekche warriors and colorful banners.